Not sure if I am ready for Dodge City or Alice Springs. 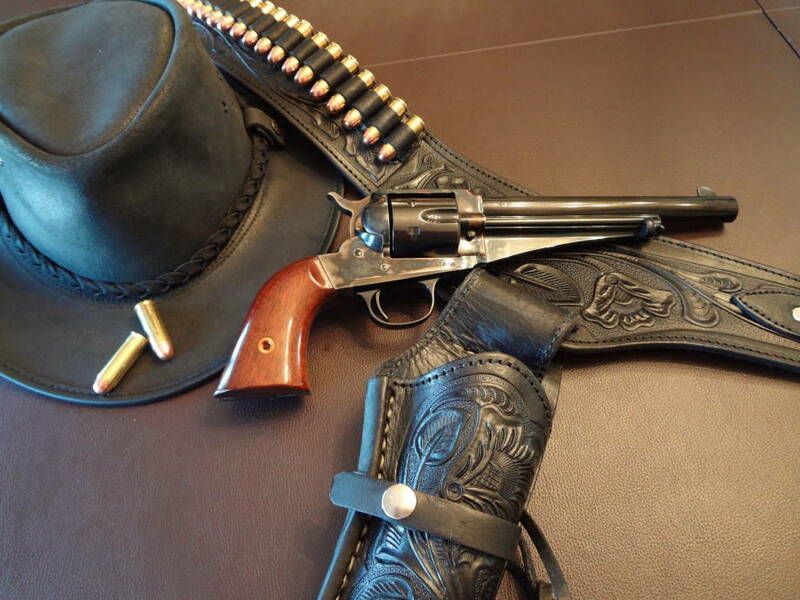 The hat is a Bill Collins (Australian), the revolver a Uberti clone (Italian) of the 1875 Remington and the gun-belt and holster are Mexican style but made in California. Those are my own loads using Starline Brass and Berry's bullets. I ordered an oiled drover's "Duster" today (Australian - Kakadu Long Rider) and tried on some leather "Engineer" or "Harness" boots that are made in New Jersey. All American multinational genuine authentic party mix. Bet it smells as good as it looks too. Uberti has some fine looking replicas, do they shoot good? Looks mighty fine, MacD. But, does it make you look "good" when you are all "duded" up? only 1 remark: such a long barrel is no help for quick-draw. Australian, Italian, Mexican...I was going to suggest an Australian pizza and taco delivery person that you wouldn't want to stiff on the tip...but since you also threw in California, we might need to make that tofu burgers! And New Jersey? Plan on a lot of tanning bed time! Seriously, nice rig...and I'm a bit partial to the "Aussie" style hats too! Holy smokes that's a nice rig! Mac- try some "packer" style boots, they come in several diff sub-styles. Wicked cool and old school workin'/ridin' boot. That's why God made coach guns...the cure-all for snappy quick-draws. Now all MacD needs is to get rid of his "broomstick" horse and get a real one. Dont gota shovel-up after a broomstick! Nice get up Mac...looks good mate. I was looking at one of those hats the other day at Steve Irwin's Australia Zoo...they are pretty smart. Bushy, thanks for the picture, but where is the 6-gun, bullets, holster, and the hat?!? 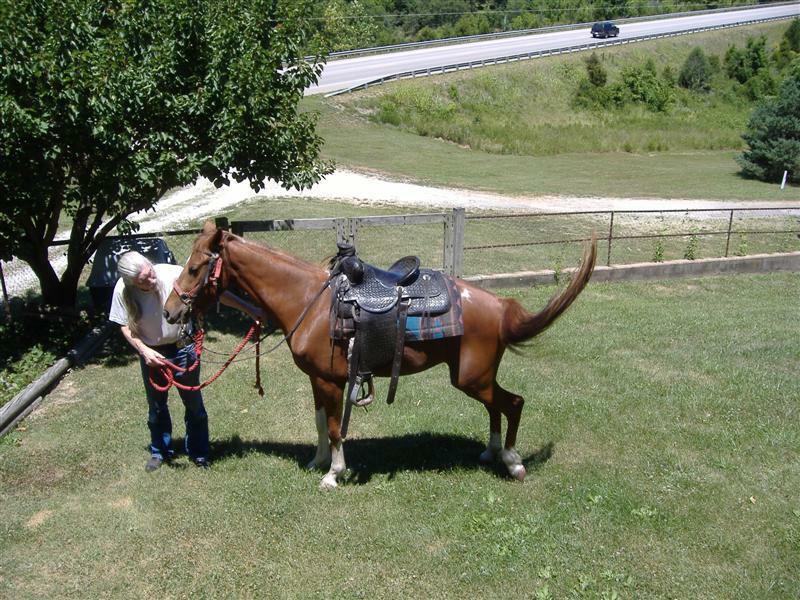 Pretty good looking trail pony. Looks like he has a lot of attitude- like his owner. Hey MAC you check on them packer boots yet? Toss on a pair of them with a nice spur ridge and California spurs, some leather sleeve guards and a campaign hat and yer good to go fer just about anything.